We are the forklift finders… if we don’t have the machine (or attachment) you need, we find it (tapping into a network of contacts right around Australia and overseas). Our ability to track down ‘hard to find’ forklifts and attachments encourages many buyers to call us first. The latest I-Phone or mobile device gives you fast access to the internet and a bucket load of choices, but our job is to help you to hire or buy the right machine. Our experience saves you time and money. Whether you are buying a container handler for portside use, a heavy-lift or all-terrain forklift for a transport business, farm or timber yard or a small electric forklift, we customise our offer to suit your needs. We want to solve your Materials Handling needs, achieving the best possible outcomes for you ! Whether you are a first time or frequent visitor to our site, you will quickly see that Forklift Finder Services has a wide range of quality used forklifts for sale and hire. We are a national and international provider of all major forklift brands ranging from 1 to 50 tonne capacity. 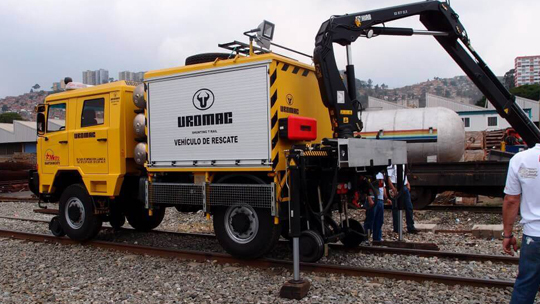 Our customers (in Australia and across the Asia Pacific) include firms in civil construction, transport, freight and logistics, manufacture/engineering, mining, agriculture, retail and special events. If you’re looking for diesel, LPG, all-terrain forklifts or container handlers or planning a new or extended warehouse and seeking quality electric forklifts, give us a call to talk it over (we are happy to talk about forklifts at any time that suits you, seven days a week). 24 Hour Availability: If you need to reach us after hours, we are on call 07 0414 746 181. You can count on us to respond quickly, to find that extra forklift to help with a larger than usual load or to arrange mechanical support. 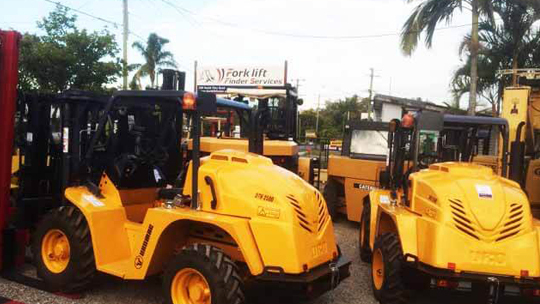 Because we specialise in forklift sales, Brisbane business owners can count on us to provide them with the expert advice they need to choose the right forklift for their job. We don’t just advertise and sell used forklifts, we’re willing to go the extra mile to ensure our customers are purchasing the correct forklift matched to their requirements. Find and buy a forklift for sale in Brisbane with less time and money invested. Even if you’re considering a forklift hire, take a minute to browse our used inventory to see the quality forklifts that are available at reduced prices. For more information, don’t hesitate to call us on 0414 746 181. Our success is built on ‘finding’ forklifts that add up to ‘the right choice, the first time’ . We can help you to select brands with ‘easy to find’ parts but we are also known Australia wide for our ability to locate ‘hard to find’ forklifts and specialised parts and attachments. We source and supply a vast range of Diesel and LPG/Petrol forklifts giving you access to high quality used all-terrain forklifts, container handlers, tele handlers, battery electric machines, walkie stackers and more. A good range of forklifts in stock means that we respond quickly to customer needs, but our business also lives up to its name. We are the forklift ‘finders’….if we don’t have the machine (or attachment) you need, we find it (tapping into a network of contacts right around Australia and overseas). Our ability to track down ‘hard to find’ forklifts and attachments encourages many buyers to call us first. Forklift Finder Services uses its ‘first class’ buying skills and brand knowledge to find the best forklift available within the client’s budget. We started the business with that mission and it’s no different today. The latest I-Phone or hand held device gives you fast access to the internet and a bucket load of choices, but little insight on how to choose a quality used forklift. For the savvy buyer or hirer, it’s a question of maths….finding the right forklift (whether it is a 2 tonne machine, a large container handler or a fleet) delivers uptime not downtime, a lean operation and a better margin. Businesses need these outcomes more than ever…the backbone of our business is helping you to make that happen. With our local expertise , very reliable brands and easy access to parts, you avoid the frustration of unreliable back up, service, parts or warranty. We only sell quality reputable brands, that are readily serviced by onsite or local forklift mechanics. When your forklift is your workhorse day in and day out, you need to know its ‘ready for work’, reliable and able to be serviced quickly and cheaply. can you afford to risk a unknown albeit cheaper brands). We are experts in used forklifts from 1.5 tonnes to 50 tonnes. A ‘fit for purpose’ forklift is matched with a great offer at Forklift Finder Services. We take the time to discuss your needs and work out the best possible solution. Forklift Finder Services specialises in globally recognised used container handler and heavy forklift brands (with Hyster, Omega , SMV and CVS being brands that we commonly source and supply to clients in Australasia and Overseas). We’ve been buying forklifts from Peter de Ryk at Forklift Finder Services for 15 years now. With service, the main thing is I ring and talk to Peter in 2005, and 11 years later I can still ring and talk to Peter. It’s about consistency, I don’t need to waste time, Peter knows my needs, nothing is ever a problem! The service is fantastic. 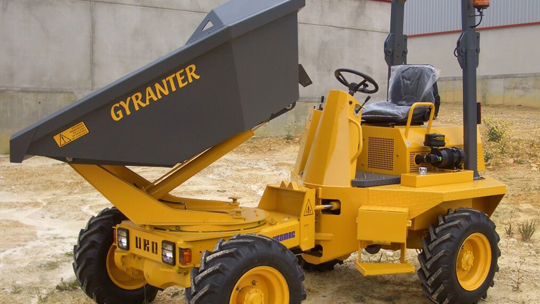 We really like Peter de Ryk the Director, he is really helpful, and assisted us a great deal with a finance purchase when we purchased our telehandler forklift.